Printed by Blades, East and Blades, London. † Date of issue, where not 1883. ‡ Gibbons  distinguishes two overprints, "8 cents." vertical (SG2, Sc4) and "EIGHT / CENTS" horizontal (SG3). Scott  does not list the latter. The British North Borneo Co. ran the territory from 1881 until it became a colony in 1946. Labuan joined the new colony. 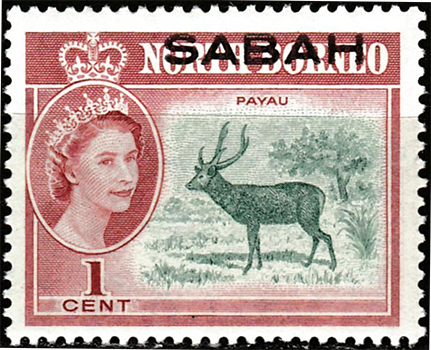 In 1963, North Borneo, renamed Sabah, joined Singapore, Sarawak and Malaya to form the Federation of Malasia. 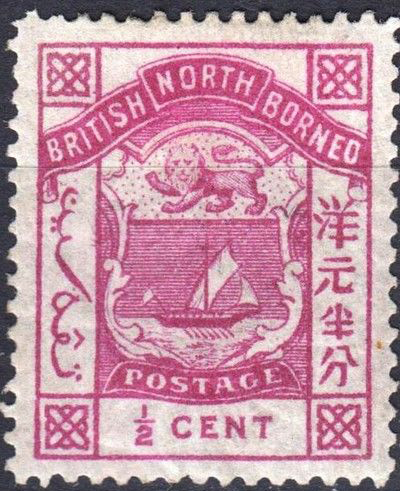 In 1886, stamps inscribed British North Borneo were issued and this change is noted in Scott and in the FICC catalogue as #235. 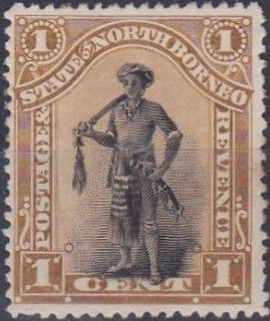 In1892, the inscription changed to State of North Borneo. Japanese forces invaded North Borneo in December 1941 and by January 1942 occupied the whole territory. 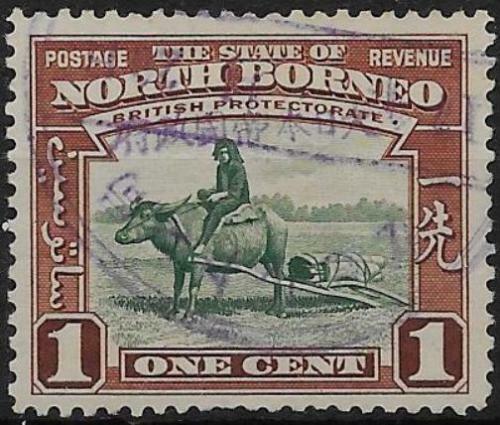 North Borneo stamps, overprinted in violet or black, followed by dedicated issues were made for North Borneo and also used in Brunei, Sarawak and later Labuan.